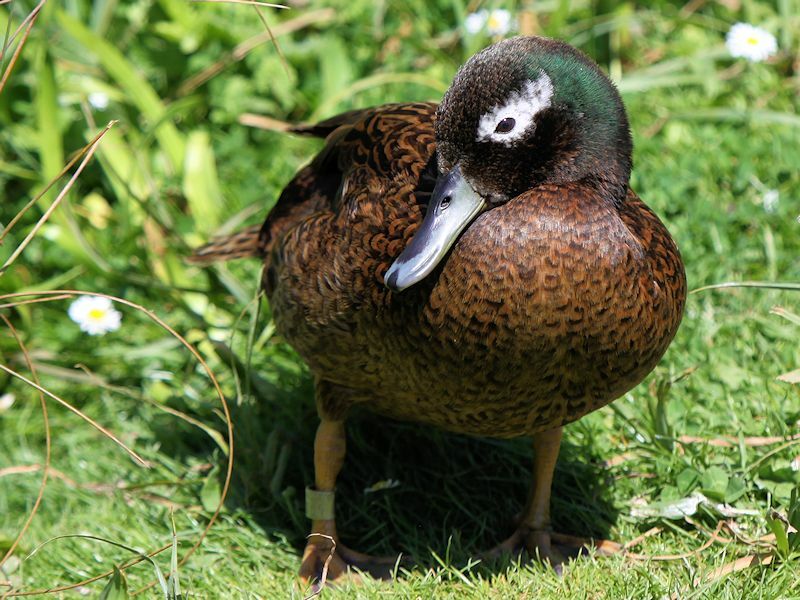 The male has Brown plumage with dark markings, a dark head and neck with Green iridescence and a White patch around the eye. 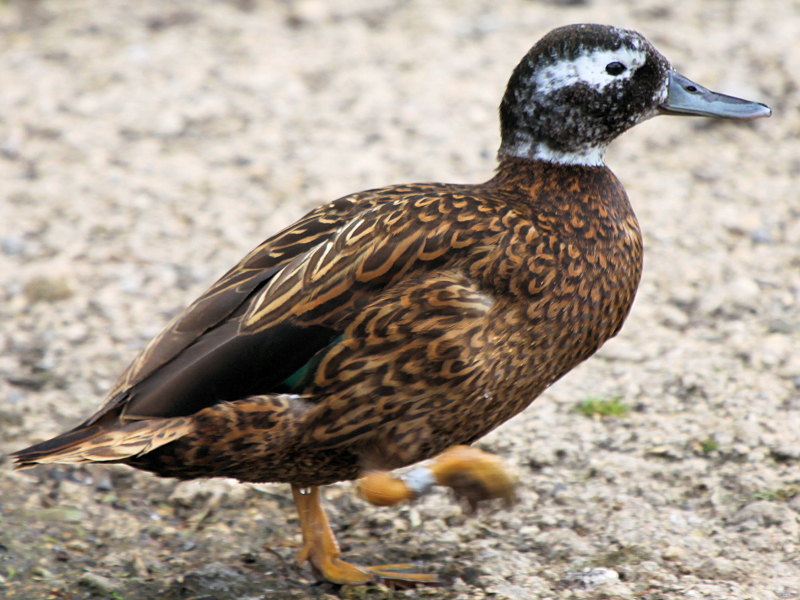 The bill is Dark Green with variable blotching, the speculum is Purple/Green and the legs and feet are Orange. 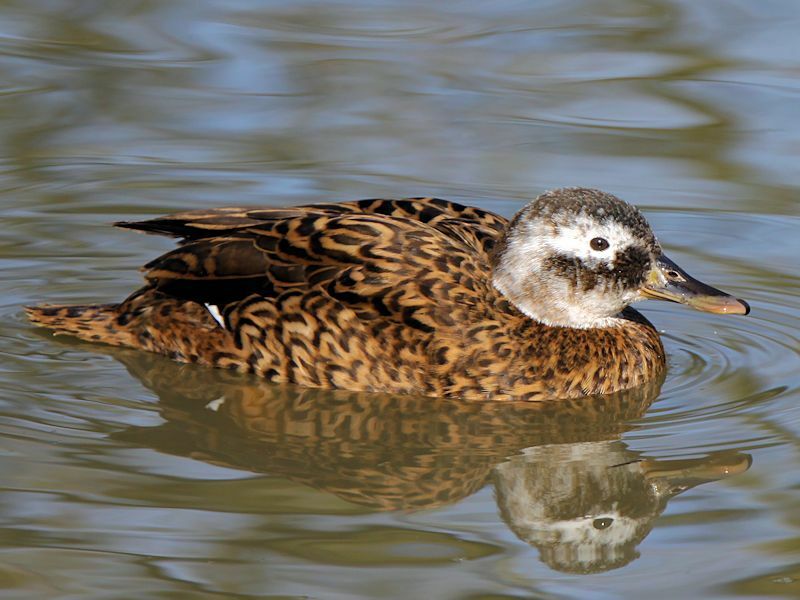 Shallow Lakes, Lagoons and the shore of the Hawaiian Islands, mainly Laysan Island. 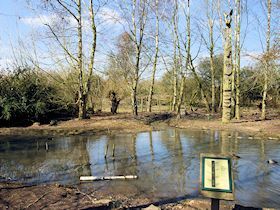 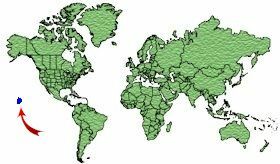 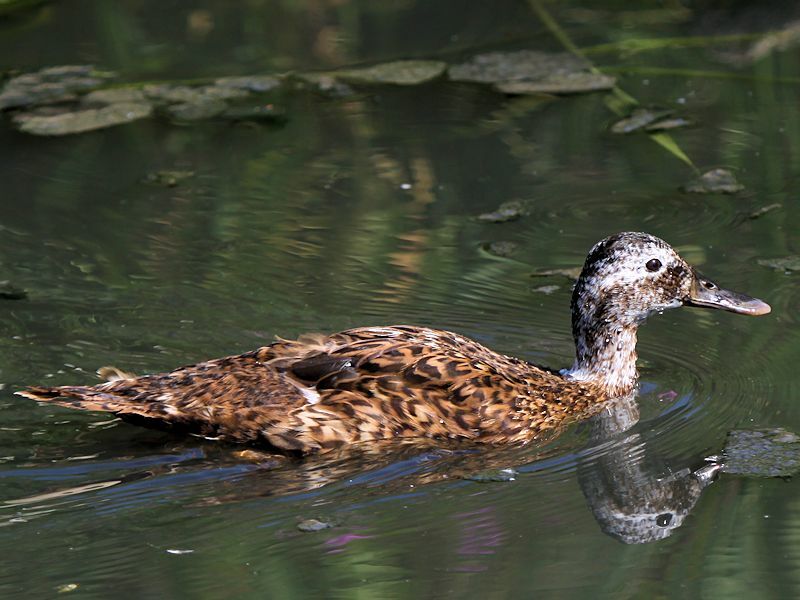 Aquatic Plants and Insects, Seeds, Algae and small Crustaceans. 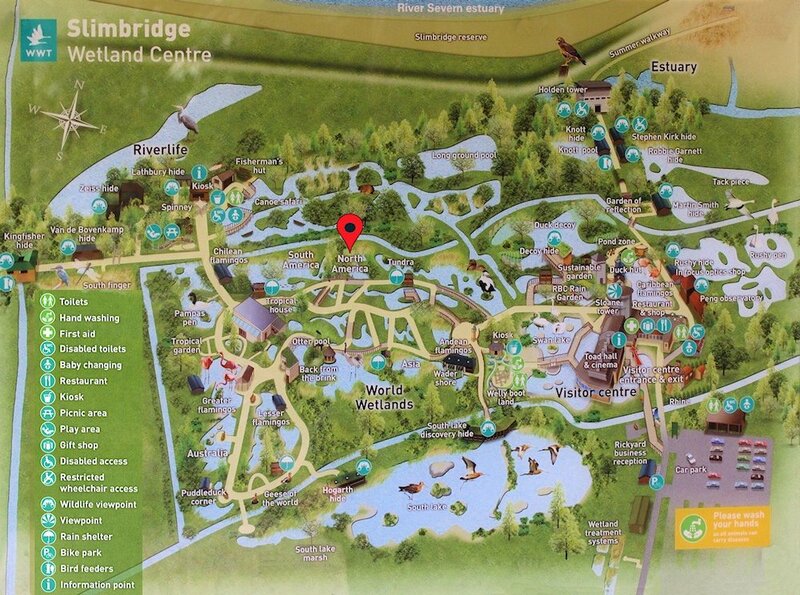 The nest is built on the ground in a well concealed location. 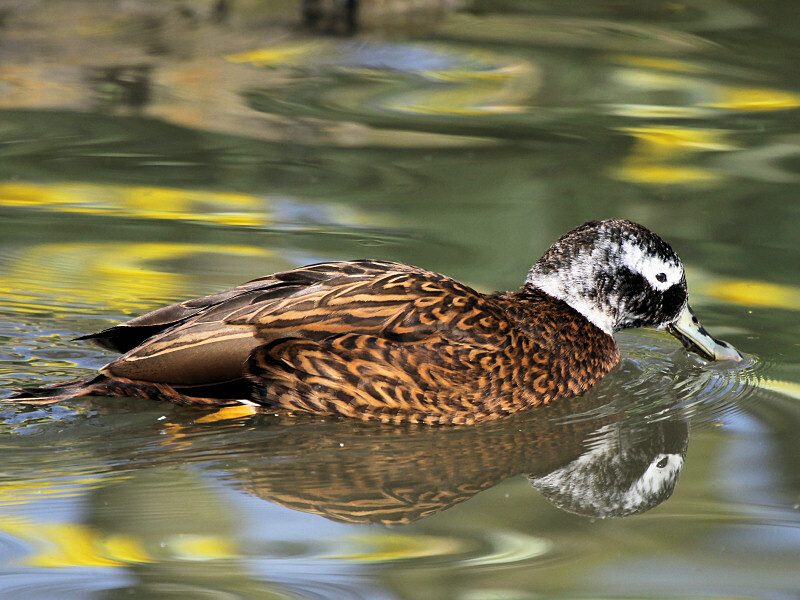 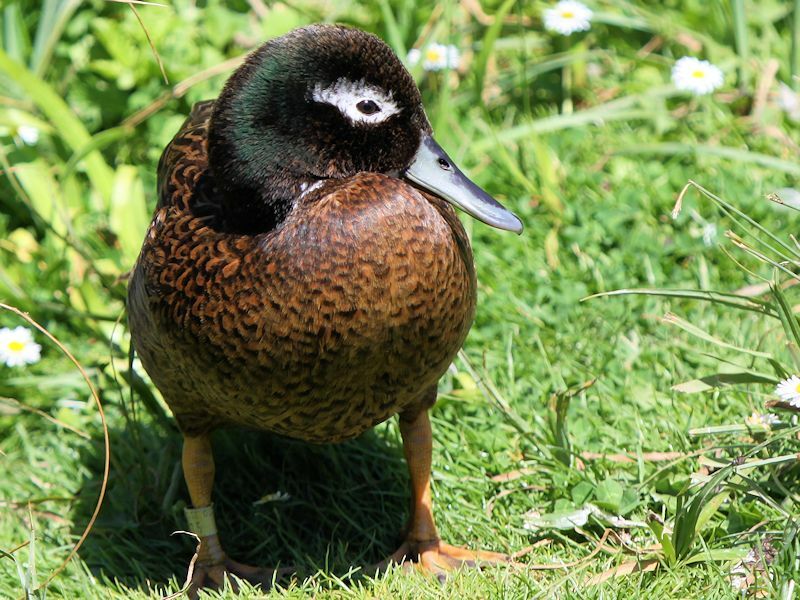 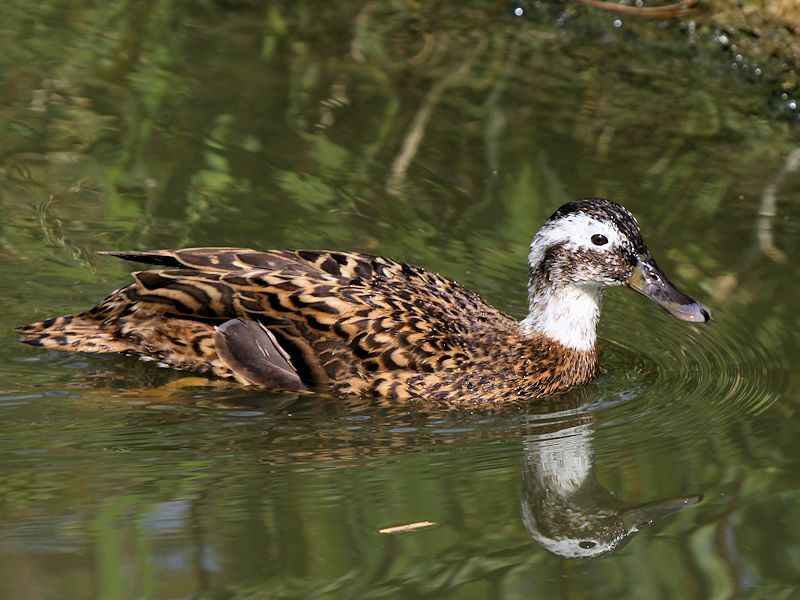 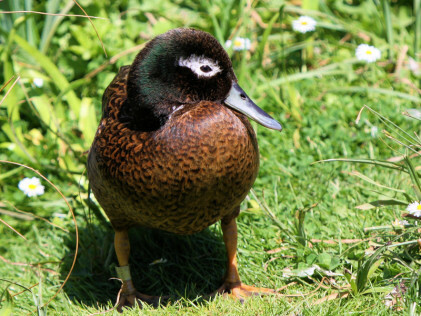 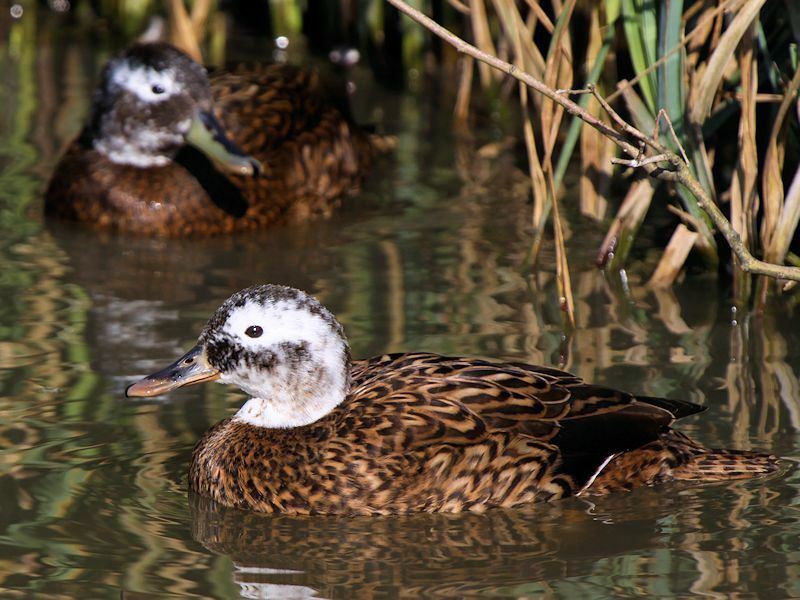 The Laysan Duck, also known as the Laysan Teal, is a dabbling duck endemic to the Hawaii Islands. 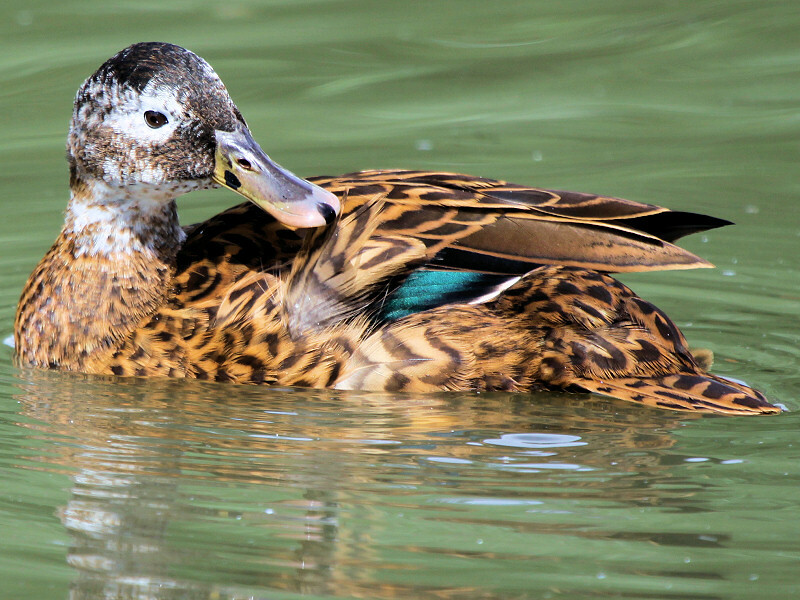 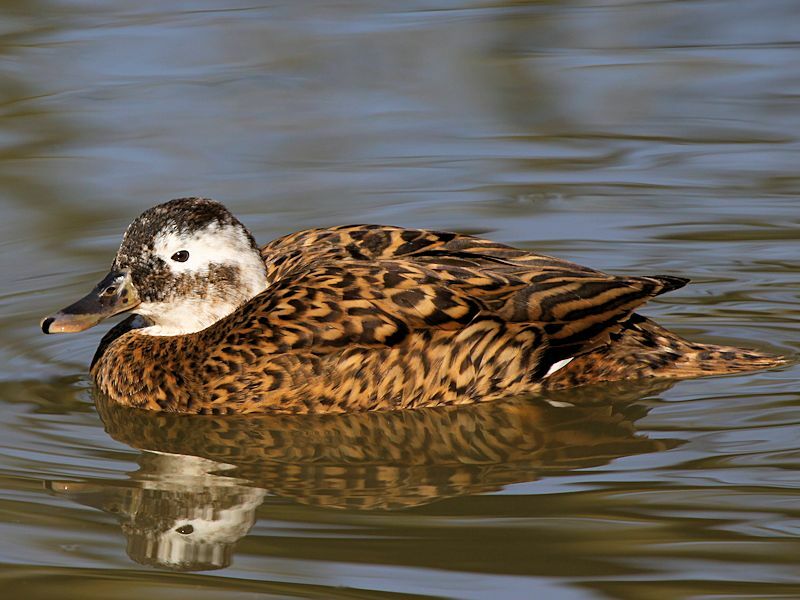 It is related to the Mallard and was named after Laysan Island by Lionel Rothschild in 1982. 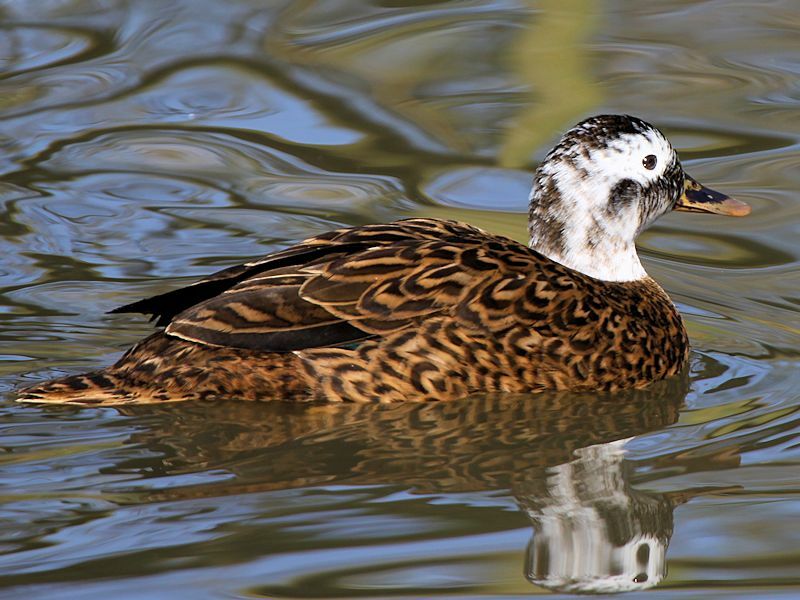 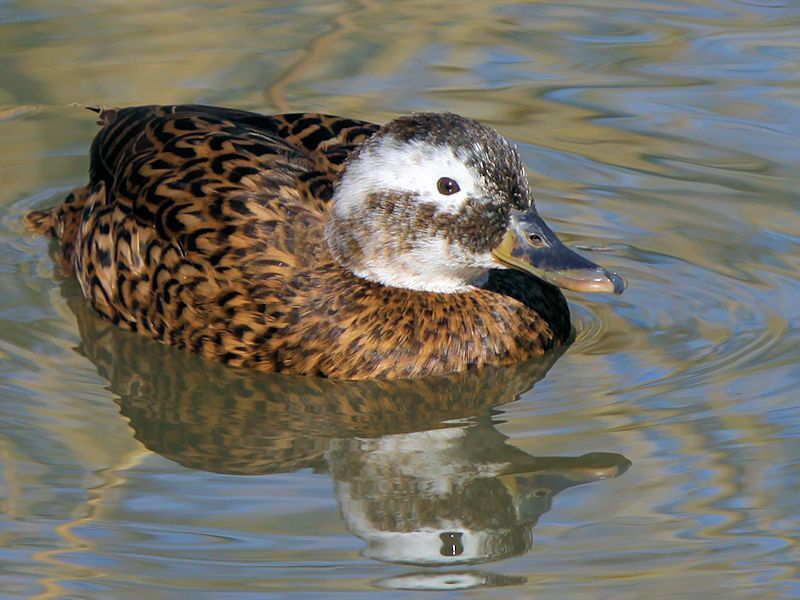 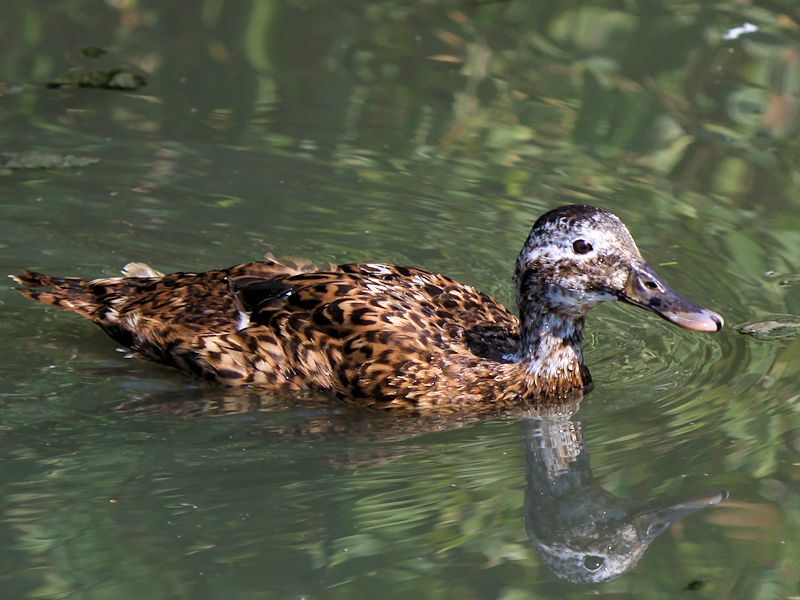 By the 1920�s the Laysan Duck population had declined dramatically due to hunting and habitat loss because of the introduction of domestic rabbits. 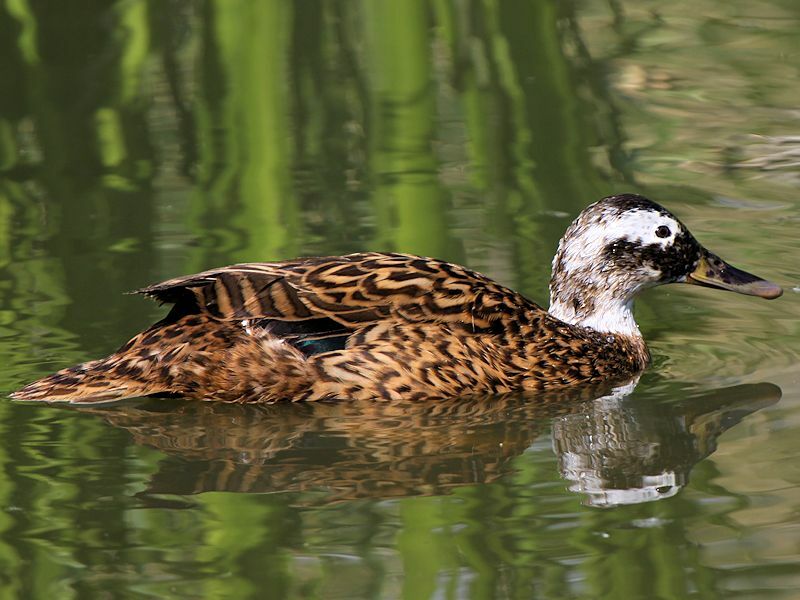 The rabbits were removed from Laysan Island and since then the population has grown and remained stable at around 500 ducks. 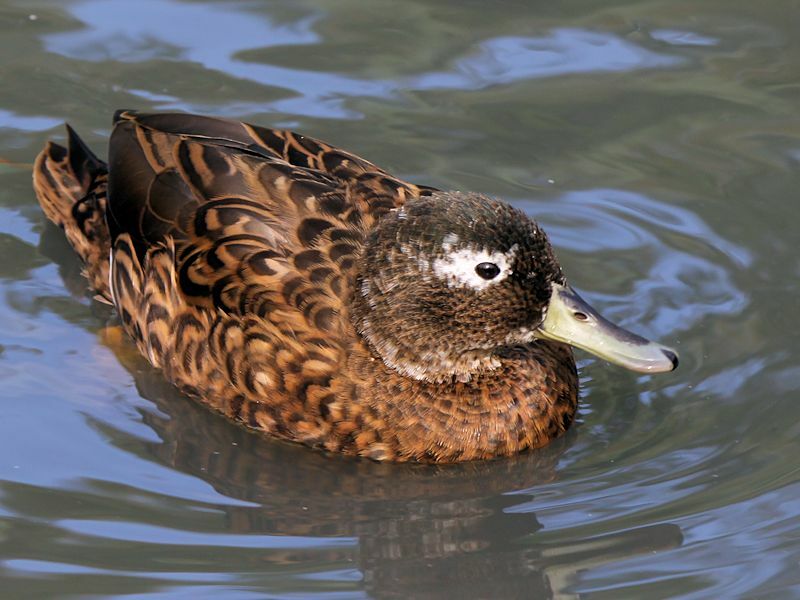 They remain Critically Endangered but are carefully monitored and Laysan Island is part of the Hawaiian Islands National Wildlife Refuge, with human access to the island strictly prohibited.